'I am the bread that came down from heaven.' 'Surely this is Jesus son of Joseph' they said. he has seen the Father. I tell you most solemnly, everybody who believes has eternal life. I am the bread of life. so that a man may eat it and not die. I am the living bread which has come down from heaven. How wonderful it was to attend the Year 1 Blue Assembly today. 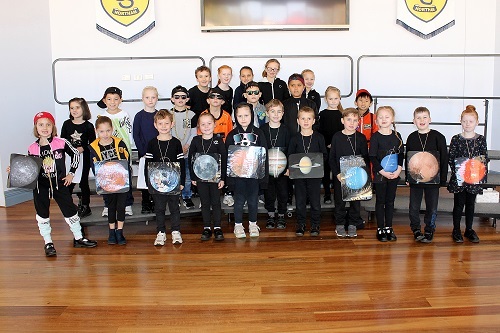 I would like to thank the students and Mrs Smith for their fun and informative presentation on our Solar System. I am always so proud of our students when I attend an Assembly and see how confident they are with their performances. 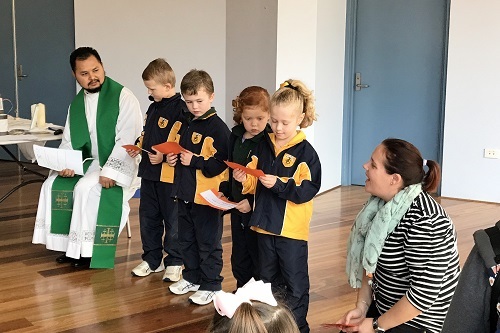 Our Pre-Primary students attended their Liturgy this week. Fr Simeon guided them through the theme of Baptism. It was marvellous to see many of our families join us for this special event. Thank you to Fr Simeon and our staff for preparing our students and thank you to our students for their prayerful and reverent manner. This week, our Year 5 students sat the BRLA and our Secondary students participated in the Annual Mathematics Competition. 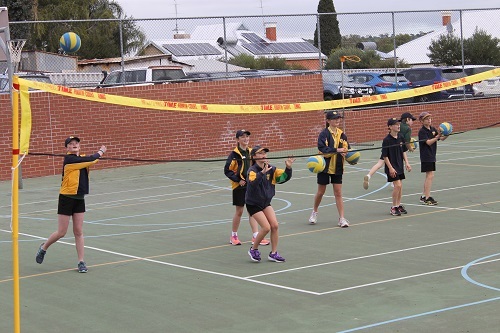 It is a pleasure to see our students actively engaging with these opportunities. We wish Tia Hunt [Year 12] and Lukas Pretorius [Year 12] good luck as they enter the annual Speak for Faith competition tomorrow evening. All the best with your speeches! As of 2019, all students who sit NAPLAN will do so in its online version. The only exception for 2019 will be the Writing component for Year 3 students. This week Mrs Clarke, Mrs Parnham and myself were briefed on the procedures for this to occur. We will now be making the necessary technical adjustments to our equipment and preparing students for a practice run later on this term. This practice will ensure that our devices are fully functioning and allow our staff to become familiar with the new format before NAPLAN in 2019. I was working in my office this week to the background noise of students playing volleyball. I very much enjoyed listening to the cheers and laughs from the class as they were all involved and participating in practising this sport. I couldn’t resist visiting the class to watch and take a photo of their fun while learning. I hope you enjoy the photo! Families are reminded that we have a staff Professional Learning Day coming up on Monday 20 August. This will be a pupil free day as staff will be involved in our ICT learning and programming. The Uniform Shop will be open as usual. Our students will join the Parish to celebrate First Holy Communion on Sunday 26 August @ 10.30am. 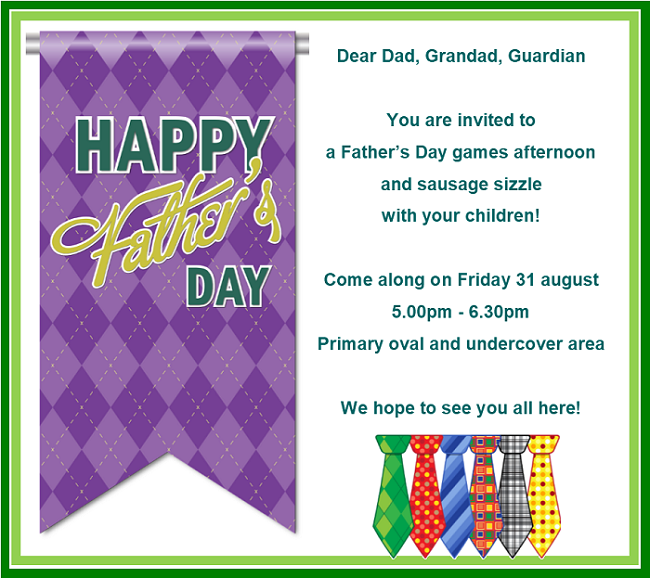 All our families are welcome and encouraged to join in this special celebration. Invitations will be sent out soon. 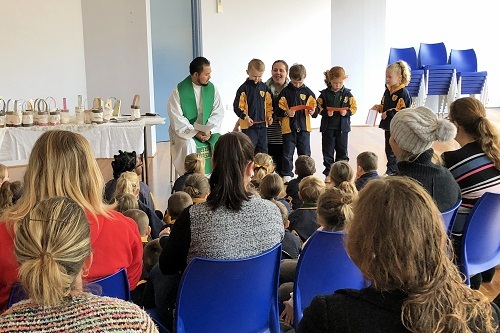 School Community Mass - Saturday 1 September @ 5.30pm. Book Week will be celebrated on the Primary Campus beginning Tuesday 21 August and concluding Friday 24 August (Week 6). The theme for Book Week this year is, ‘Find Your Treasure’. To celebrate books and reading, the Primary Library will have a wonderful display of literacy work from all classes. Another big event for this week is our annual Book Week Assembly on Friday 24 August where students can come to School dressed as their favourite book character. I absolutely love this Assembly and am looking forward to seeing what characters arrive at School on the day. This year, the Assembly will be held in the Undercover Area and will begin at 9.00am. Parents and caregivers are reminded that students are expected to be wearing the correct winter uniform for Term 3. This includes the school tie and grey socks for boys and white socks for girls. If your child will be not be wearing the correct uniform on any given day, please provide their classroom teacher with a written explanation. On the cooler mornings, students are permitted to wear their sports jacket over the top of the school jumper to school. However, it is not necessary to wear them in the classroom. The school jumper is not to be replaced by the sports jacket. The School has a set of regulations which refers to the manner in which students present themselves as identifiably representing St Joseph’s School - during or after school hours, at or away from school premises. Students are expected to observe standards conducive to modesty, decency, good health and safety. These regulations relate to the manner in which students exercise both rights and obligations to ensure all students have opportunity to learn, grow and develop, free from interference by others. Hair standards are set for the students’ safety, the enhancement of their appearance and the avoidance of excessive display. Hair should be neatly brushed or combed, kept off the face and cut regularly. Extreme hair styles or colouring is not permitted. In the case of female students, shoulder length hair should be kept in place with pins/combs; longer hair should be tied back off the face using School hair ties or elastic bands. In the case of male students, hair is not to be cut shorter than a ‘number 3’ nor is hair permitted to be below the top of the collar. Students who do not comply with the above may be withdrawn from classes and parents notified. 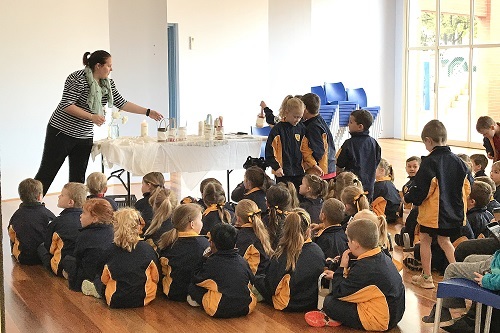 I would like to wish the Primary Choir, led by Mr Lloyd Reidy, all the best as they compete in the annual Catholic Performing Arts Festival in Balcatta on Tuesday 14 August. A separate parent note has been sent home with those students who are involved. On Friday 17 August a selected number of students from Years 3 to 7 will be competing in the Meckering Cross Country. Details for the day have been sent home in a parent note. Good luck to everyone. 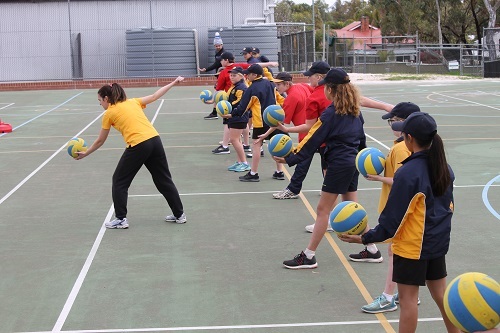 On Wednesday, Volleyball WA visited our School to run a coaching clinic with the Years 5 to 6 classes. 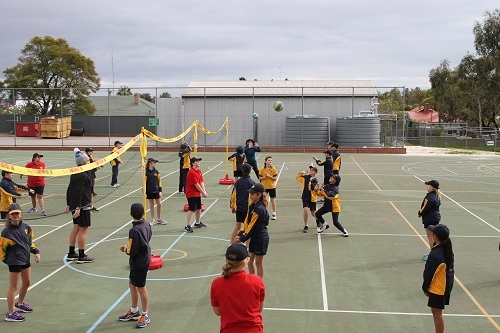 Every student enjoyed having a go and now look forward to playing more volleyball in the future. Students in Year 10 who may wish to study Modern History in Year 11, 2019 as an on-line course through ViSN, are asked to speak to Mrs Parnham for further details. 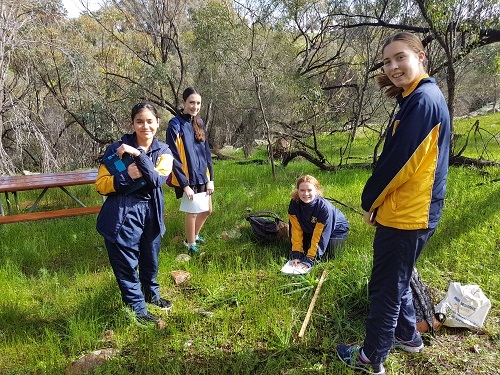 Last Friday, the Year 9 students went on their annual excursion to Eadine Springs. While at the Springs, the students applied the ecological survey techniques they were learning in Science class out in the field. They conducted flora surveys, collected soil and water samples and used probes to measure water salinity, pH and soil temperature. 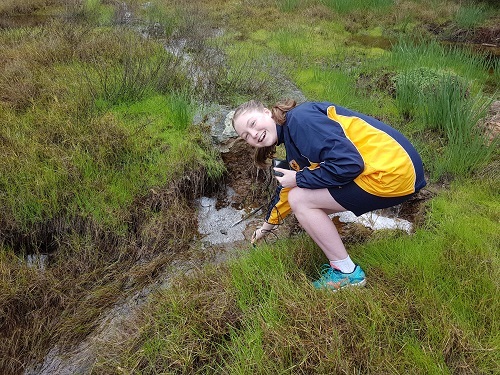 Students had a first-hand look at the conditions that ecologists work in with the rainy weather and flooded ground making for an interesting day. Back in the lab this week, the students continued with analysing the soil and water samples including experiments measuring soil moisture and pH as well as identifying the plant species that they surveyed out in the field. This work will be presented in a Report on the condition of the nature reserve and comparing the different vegetation types found there. 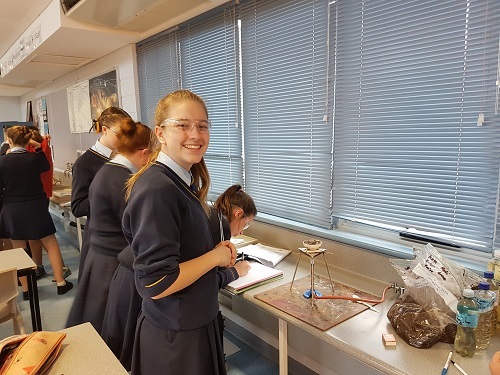 Our School recently received the results for the International Science Competition that was completed by 115 selected students in Years 5 to 10 last term. This competition is the largest science competition for students in the world, with over three million competitors. Once again, our students have performed very well at all year levels. 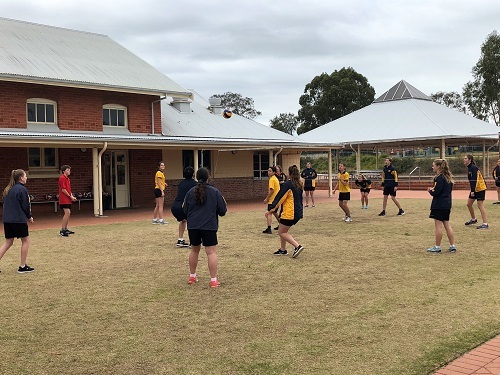 Our students obtained 4 Distinction certificates (Top 10% of Australia), 15 Credit certificates (Top 35% of Australia) and 16 Merit certificates (Top 35% of the school year group, but did not qualify for an achievement certificate). All students receive a detailed analysis sheet of their individual results, and those that did not qualify for any achievement certificate have received their Certificate of Participation. Distinction - Leah Morrell, Hannah Morrell, Adrian Gargano and Tama Peipi. Credit - Braeden Lane, Jacob Roberts, Emily Irvine, Harley Jongen, Tim Bretschneider, Wendy Chen, Cameron de Wit, Taylor Gath, Campbell Horsburgh, Jack Fricker, Kyran Reyes, Taylor Kilmurray, Hollie Mather, Emma Pretorius, Lachlan Stewart. Merit - Lauren Ashworth, Emma McConnell, Jessica Tony, Clayton de Wit, Jamie Galloway-Scott, Matthew Johnson, Maxwell Mead, Alexander Pepper, Ruby Smith, Madison Stewart, Tara Bishop, Alyssa Farrall, Eric Good, Demi Hunt, Cole Matjuszenko and Seth Rose. Well done to all our participants and congratulations to all the Award recipients. 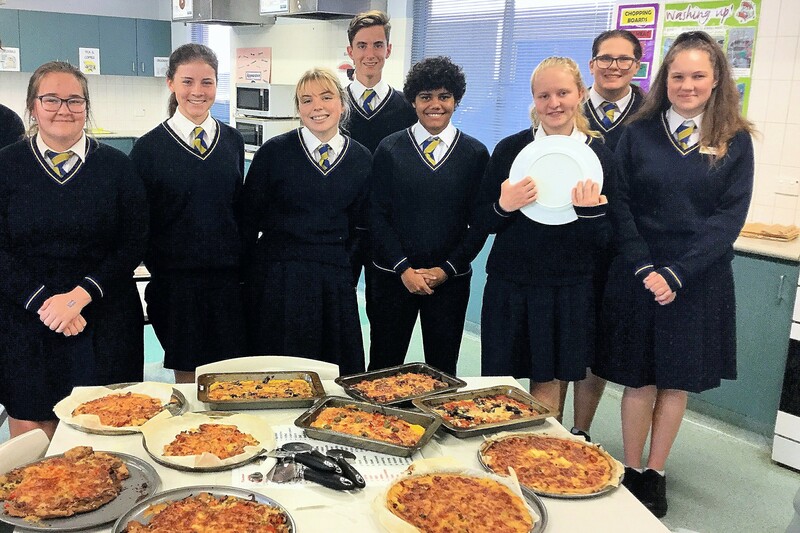 This week, the Year 11 Food students began experimenting with staple foods and made their own pizza bases using chickpea flour, polenta, quinoa and cauliflower. They were delicious. Well done to all our budding chefs, fantastic cooking! A reminder is provided to families who have elected to pay their School fees in instalments that unless you are paying by Direct Debit (DD) or another regular payment scheme, the School required payment of the next and final 1/3rd by Friday 3 August. If you missed this deadline or have any queries regarding your Fees Account, please contact the Business Manager on 9621 3503. We are still searching the high seas for helpers! Calling all pirates or parents, the school is sailing into.... Book Fair Week 21-24 August. We need all pirates on deck!! Don’t panic as there are lots of spots for you to help....maybe you’d like to help set up and decorate, or put a pirate hat on and work at the Book Fair after school, or you can save yourself from being forced to walk the plank by helping pack up after the Book Week Parade Assembly. Northam Scout Group meets on Thursdays after school at 46 Burnside Avenue, Northam. Joey Scouts (6 and 7 years) meet 3.30pm to 4.30pm, Cub Scouts (8-10.5 years) meet 4.45pm to 6.15pm and Scouts (11-14.5 years) and Venturers (15-17.5 years) meet 6.30pm to 8.30pm. Anyone wishing to join Joey Scouts, Cub Scouts or Scouts is welcome to come along to our meetings and try for free. Please contact Amanda Abbott, Group Leader, on 0409206607 or gl.northam@scoutswa.com.au for more information. The Northam Dental Therapy Centre wish to advise of their new opening hours. These are 8.00am to 4.00pm Monday to Friday. We are currently servicing Northam, Wundowie and Bakers Hill and are located at Northam Primary School, Duke Street, Northam. NorthamDTC@dental.health.wa.gov.au A/H emergency phone 1800 098 818 between 6:30pm and 8.00am seven days a week. Registrations will open on Saturday 1 September 2018 and close on Saturday 15 September 2018 (The registration website will not be activated until this time). Pay online with Credit or Debit Card. If you have any queries, please email northamdistrictslittleaths@gmail.com . Register early as age groups maybe capped. If you are new to the Club, uniforms must be ordered online at time of registration. For regular updates, we encourage you to follow us on Facebook. Families are reminded of the need for volunteers to assist in the Primary Canteen. Please bring along your Parent Participation Card so I can complete your attendance. All help is greatly appreciated, even if all you have is an hour or two one morning, you are very welcome to contact me to go on the Roster.